The alien invasion comes without warning. They see human thought and drink it as water. One story takes place in a faraway valley. The other in downtown San Antonio, Texas. No place on earth is safe from the alien invaders. 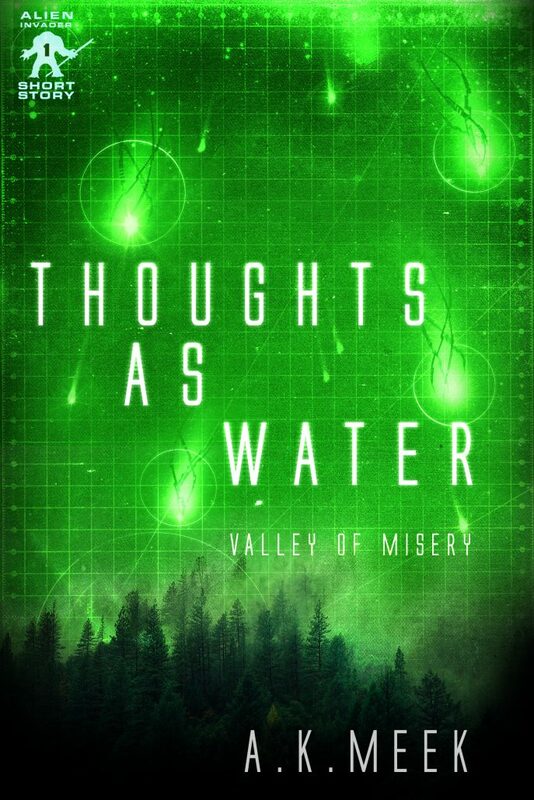 An overwhelming alien invasion has broken earth’s last human encampment. The few ragged survivors flee into the mountains. But the strange aliens have a horrible secret: they can see the thought-trails the humans leave behind. And now the aliens follow these same trails into the mountainside forest to hunt—and feed—on their human prey. This story is about one alien tracker, thirsty for human thoughts, chasing one man.